To secure and register your brand name should be unique, not too similar to another registered name in Tennessee, and shouldn’t contain any restricted wording. To check, conduct a Business Entity Search through the state and if there are potential trademark issues conduct another quick search using the TESS System through the U.S. Patent Office. 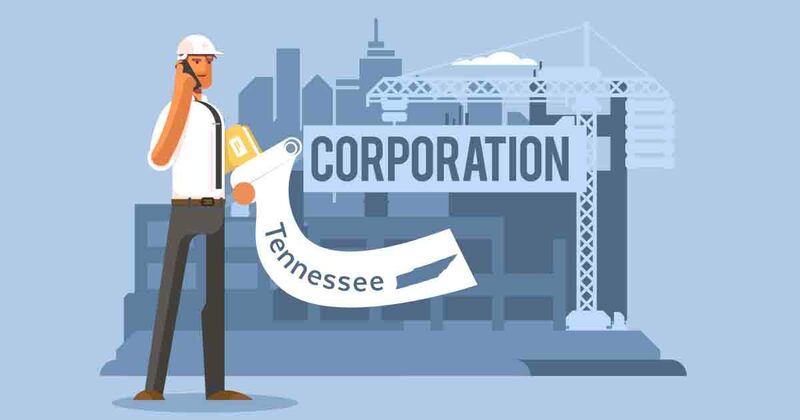 The name you choose also must contain the word/abbreviation “Corporation”, “Incorporated”, “Company”, “Corp.”, “Inc.” or “Co.” If needed, you may file an Application for Reservation of Corp. Name with the Sec. of State that’s valid for 120 days. When founding your corporation, your Registered Agent is your intermediary or a representative of your brand who accepts and helps handle/process all official documents like state filings, tax forms, legal notices, and so forth. Typically it comes down to either hiring a 3rd-party professional and paying up to $160/yr, or you can get a certified agent free of charge when you incorporate with Incfile or CorpNet. They take care of handling the paperwork in a timely manner for you along with a lot more depending on your specific startup package. Complete names and addresses of the president, directors, secretary, treasurer, etc. Type of business structure you’ve selected, and so forth. The next part of this step is taking the time to make sure you’ve chosen the right local, state, or national bank or credit union based on a number of variables including location, overall business services, fee structures, incentives, and so forth. Don’t take this decision lightly. It’s far too important and will have an impact on your company. Obtain an EIN, or Employer Identification Number, for your corporation for free through the IRS. Bookmark the Nashville Small Business Admin office and the state’s Business Enterprise Resources. Also, consider working with a business license research service that take cares of the legwork for you.